On Monday the West African regional body ECOWAS met over the situation in northern Mali to draft a plan as to what an intervention might look like so that they can present it to the United Nations. It’s reported that ECOWAS mapped a three-phase operation to reclaim the North, which is now being controlled by Islamist groups. Interim President Traore, however, has asked for troops to only be deployed in the last phase. The request for military deployment only for Phase 3 can hardly be fulfilled, because it will be extremely difficult and strategically unwise to deploy troops in the north of the country without a coordinating center in Bamako. Phase 3 will be jointly planned between the ECOWAS standby Force Headquarters and Malian Defense and Security Forces. This phase requires a lot of combat assets, including fighter jets for the conduct of the operations. These air assets may be provided by ECOWAS or development partners. Military presence in the South of Mali, especially in Bamako, is not at all what former junta leader Captain Sanogo and interim President Traore want. They argue that the Malian military’s capacities have not changed, and that all that is needed is merely logistical support from ECOWAS in order to make their actions more successful. Other international actors, like the United Nations, have expressed concern over an ECOWAS intervention, calling the plans vague. Others are calling for other actors, such as Algeria, to assist in the negotiation between Bamako and those controlling the north. Algeria has had a history of assisting in negotiations between its southern neighbors in peace agreements with various rebel groups. This situation should not too different. 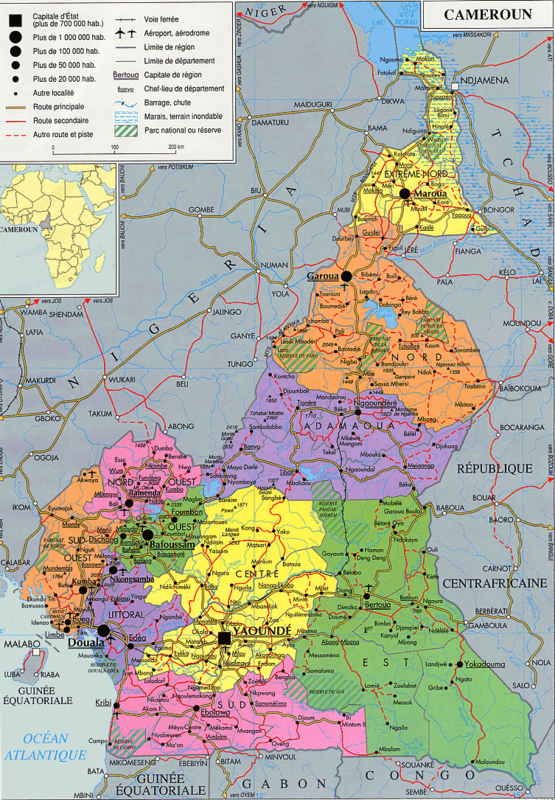 The situation in northern Mali is significant for Algeria because the groups operating in the north, like the Movement for Unity and Jihad in West Africa, have also been attacking sites in Algeria. This situation is not merely Mali’s problem, which is why it shouldn’t be treated as such. 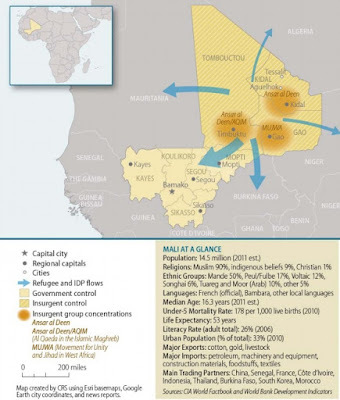 Many are claiming that Mali and the West Africa region risks becoming ‘the next Afghanistan’. Andrea Riccardi, the Italian minister of International Cooperation, argued that with the north of Mali being occupied by Islamist militants, combined with the Islamist group Boko Haram in Nigeria, and with a troubled situation in southern Algeria, this creates and explosive mix of actors (French). 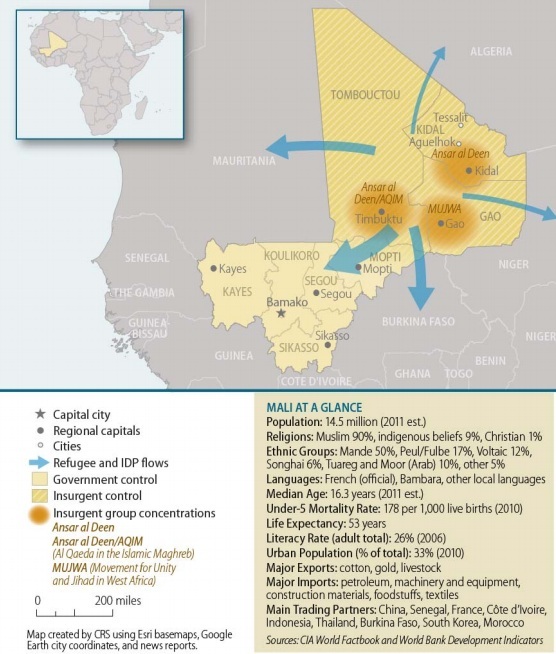 The open presence of AQIM commanders in northern cities, along with reports of foreign fighters traveling to Mali from Nigeria, Somalia, Pakistan, and elsewhere, have raised acute concerns that Mali could become a training ground and launching pad for transnational terrorist attacks. Although many analysts and experts are quick to link AQIM to Al-Qaeda, the reality is a bit more difficult to discern. A report by Alexis Arieff and Kelly Johnson of the Congressional Research Service points out that U.S. defense officials often refer to AQIM as “Al Qaeda’s best funded [and] wealthiest affiliate”. They also note that the Combating Terrorism Center at West Point have analyzed communications by Osama bin Laden and have found that although there was evidence of bin Laden’s knowledge of AQIM, he did not give substantial evidence as to what his relationship was with them besides occasional financial appeals. A regional problem should seek regional solutions – first unilaterally or bilaterally, perhaps between Algeria and Mali and possibly Mauritania. If negotiations and support from these countries with the rebel groups fail, only then should a military intervention by ECOWAS be called upon. The reason to wait on ECOWAS’ intervention is because it appears as if ECOWAS wants to launch an all-out offensive on the north – which could work well for reclaiming control of the north, or it could end disastrously, with little accomplishment and thousands of unnecessary civilian deaths. Despite the discussions on how much of a threat terrorist-linked groups pose in the Sahel, what is agreed upon by the various regional and international actors is that something needs to be done about the crisis. What is still not agreed upon, however, is what form this intervention should take. As I stated above, ECOWAS basically wants military intervention starting at stage one. The Government of Mali only wants ECOWAS logistical support so they can handle the military aspect themselves. If a military offensive does happen, many argue that it might do more harm than good. The International Crisis Group claims a military operation will lead to more unnecessary civilian casualties and a greater “contagion and radicalization” of the conflict. [It could] provoke otherwise non-cohesive armed groups to rally around anti-southern or anti-Western sentiment as a tool to boost recruitment, or to create a new focus on U.S., Western, or regional targets. In essence, the debate over what an intervention would look like continues. What I would argue is that whatever is decided (…or should I say if it is ever decided), should be carefully calculated to ensure minimum civilian casualties. The embedded nature of the rebel groups in urban areas in the north makes me think that a military intervention is not the right option, at least for now. Launching an offensive would result in more casualties, more displacements, and especially in this time where anti-Western/U.S. sentiment is so high, it might well convince many more to join the ranks of AQIM and its affiliates.